Mónica Ruiz-Casares, PhD, is an Assistant Professor of Psychiatry and Faculty Associate at the Centre for Research on Children and Families and the School of Social Work, McGill University. 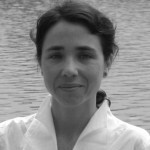 She is also Scientific Advisor at SHERPA, Centre de Santé et des Services Sociaux de la Montagne in Montreal. Dr. Ruiz-Casares holds a PhD in Policy Analysis and Management/Human Services Studies and a MSc in Program Planning & Evaluation from Cornell University and Postdoctoral training in Transcultural Child Psychiatry at McGill University, where she was a Tomlinson Scholar. She has also been awarded Fellowships by NSF, AAUW, Woodrow Wilson Foundation, Cornell University, and is currently a FRSQ Research Scholar. Her current research focuses on the wellbeing and protection of orphan, separated, and unsupervised children and adolescents across cultures; ethics in global research with children; and social policy and program evaluation. An important part of her work concentrates on the wellbeing of children without parental care, particularly among ethno-culturally diverse communities. This includes the first study on child-headed households and child depression in Namibia; a Child Protection Knowledge, Attitudes, and Practices study in Liberia; a study on alternative care in Lao P.D.R. ; and several studies on children home alone in Canada and internationally. She is also involved in CIHR-funded, multi-site studies on access to healthcare for undocumented migrant and refugee claimant children and pregnant women. Dr. Ruiz-Casares served as an advisor to the international Ethical Research Involving Children (ERIC) project and has ongoing, international ethics studies involving young people. Her research privileges the voices of children, and is inspired by action research principles.